This Above Ground Pool Volleyball Game features durable construction, easy assembly, and two sturdy brackets for easy and safe attachment to any pool top tail. 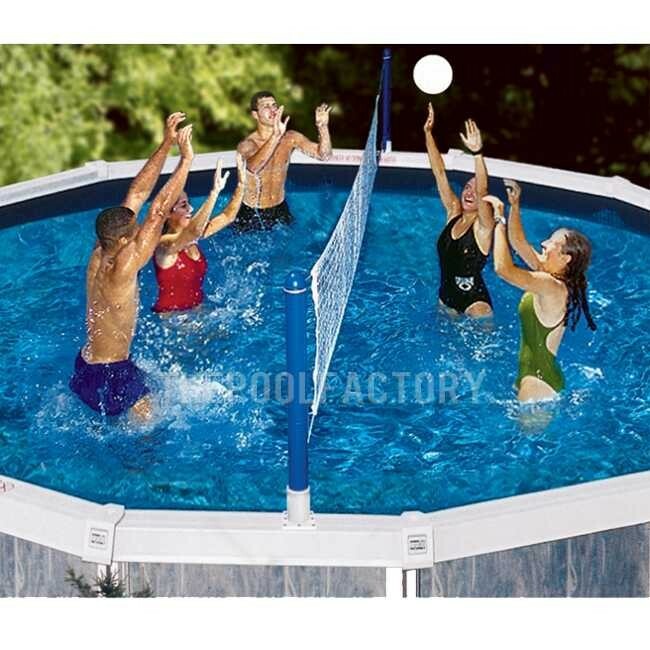 The Above Ground Pool Volleyball Game comes complete with heavy-duty net, a "real feel" volleyball game ball, and fits above ground pools up to 30' in diameter. Make your pool party unforgettable with Above Ground Pool Volleyball Game; your guests will cherish the fun they will have playing this game! Cross Pool Volley features sturdy blow-molded design and comes complete with real-feel volleyball net that fits pools up to 30 feet in diameter. Make your pool party unforgettable with Above Ground Pool Volleyball Game; your guests will cherish the fun they will have playing this game!